In the lab, he uncovers a powerful device — a prototype technology designed by the Ancient inventor, Janus, to supersede the Stargate network. 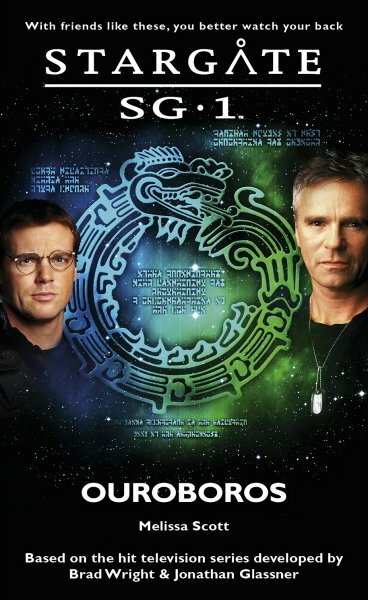 But when the Ouroborus device accidentally activates, it strands General O’Neill and his team on a dangerous new world where friends are not always friends and a terrible enemy is stirring. 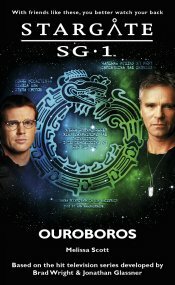 Another thrilling adventure from Melissa Scott, co-author of the hit Stargate Atlantis Legacy series. There was a thrashing from the grass behind her, and Daniel joined them, his eyebrows rising as he took in the stone and its markings. “What?” Sam gave him a wary glance. He looked over his shoulder, his smile suddenly mischievous. “Oh, come on,” Sam protested, but it made a certain amount of sense. Everything they’d seen of Janus so far suggested that he was just that arrogant.